The NJSO Youth Orchestras present a spring concert event on May 5 at Science Park High School in Newark. Presented by M&T Bank, the event showcases the youth orchestra family’s four ensembles—the Academy Orchestra, Chamber Orchestra, String Ensemble and Training Ensemble—across two concerts. Henry Lewis Concerto Competition winners Caleb Shi and Yoo Jin Kang perform as featured soloists. The 4 pm concert program features performances by the Academy Orchestra, Chamber Orchestra and String Ensemble. The Academy Orchestra performance features solo appearances by the co-winners of the NJSO Youth Orchestras’ annual concerto competition. Concertmaster Caleb Shi performs the first movement of Mozart’s Violin Concerto No. 5 in A Major, K. 219, and violinist Yoo Jin Kang performs the first movement of Lalo’s Symphonie espagnole, Op. 21, with the orchestra. Shi, 17, is a senior at Bergen County Academies in Hackensack, and Kang, 13, is an eighth grader at Robert R. Lazar Middle School in Montville. Led by Domínguez, the Academy Orchestra also performs “Hoe-Down” from Copland’s Rodeo and the Overture from Glinka’s Ruslan and Ludmila. Conductor Henry Kao, an NJSO violist, leads the Chamber Orchestra in the Overture from Bach’s Orchestral Suite No. 3; Dvořák’s Serenade, Op. 22, and Mozart’s Divertimento in D Major, K. 136. The String Ensemble, led by NJSO violinist Naomi Youngstein, performs Newbold’s “Country Hoedown,” Vivaldi’s Concerto for Strings in C Major, RV 113, and Copland’s “Story of Our Town” (arr. Fagin). All tickets are $5 and are available for purchase by phone at 1.800.ALLEGRO (255.3476). Learn more about the NJSO Youth Orchestras at njsymphony.org/youthorchestras. The NJSO Youth Orchestras give qualified middle- and high-school students—especially African-American and Latinx youth in the Greater Newark area—unparalleled opportunities to achieve personal and musical excellence. 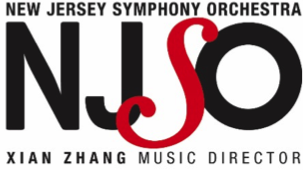 Coaching by NJSO musicians and a supportive peer-to-peer environment provide quality learning and performing experiences and build a unique culture of collaboration. The achievements of this program and its impact on the lives of these young musicians have received national recognition from the President’s Committee on the Arts and Humanities. Four distinct ensembles—the Academy Orchestra, Chamber Orchestra, String Ensemble and Training Ensemble—perform two full concerts each year and participate in masterclasses and workshops with renowned guest artists. In addition, the Training Ensemble offers joint instructional and performance opportunities with its sister program, the NJPAC Symphonic Band. Through this partnership (known as Music Advancement for Newark-area Youth, or MANY), the two organizations lay the foundation for students’ membership in their more advanced ensembles. The NJSO Youth Orchestras annually serve more than 200 students from 11 counties across northern and central New Jersey. Students who play orchestral instruments can apply for membership in the NJSO Youth Orchestras. For more information, visit njsymphony.org/youthorchestras. Initiated by two of New Jersey’s premier performing arts organizations—New Jersey Performing Arts Center (NJPAC) and New Jersey Symphony Orchestra (NJSO)—MANY offers programs for beginning and experienced instrumental music students alike. Participants study string, woodwind, brass and percussion instruments to develop musical and instrumental proficiency while building leadership skills. MANY also aims to prepare young instrumentalists for acceptance into performance-based educational programs within the community, including the Arts High School Orchestra and Concert Band, Newark School of the Arts, NJPAC Brick City Jazz Orchestra, Wells Fargo Jazz for Teens program and NJSO Youth Orchestras. Annually serving more than 150 students, MANY bridges two programs: the NJPAC Symphonic Band and the NJSO Training Ensemble. The NJPAC Symphonic Band, for grades 5–8, is designed for students with little or no prior instrumental experience and provides a musical foundation in woodwinds, brass and percussion. The NJSO Training Ensemble, for grades 5–10, provides intensive musical instruction and leadership development to advanced beginner and intermediate string students. Through the education programs that comprise the NJSO Academy, the New Jersey Symphony Orchestra provides intensive coaching and instruction for musicians of all ages. The lauded youth orchestra program, El Sistema-modeled NJSO CHAMPS (Character, Achievement and Music Project), NJSO Edward T. Cone Composition Institute, NJSO Coach-in-Residence Program and customized in-school clinics and master classes create participatory learning environments across the state that foster meaningful connections with live music. Tickets are available online at njsymphony.org, by phone at 1.800.ALLEGRO (255.3476) or in person. The NJSO Patron Services office is located at 60 Park Place, Suite 900, in Newark; hours are Monday–Friday, 9 am–5 pm, and concert Saturdays, 11 am–5 pm. Paper Mill Playhouse’s 2019-2020 season ! Glenn Close FULL Broadway 2017 Sunset Blvd.